As the Sunday news vine began getting heavy, that sole topic of all-consuming, toxic interest – Brexit – threatened to claim the casualty of the British Prime Minister herself, Theresa May. Interest centred on a possible troika that had busied itself on harrying May. 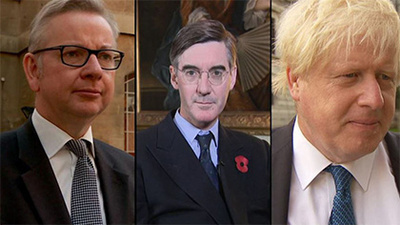 In any context, this troika would have seemed a compilation for pure comic effect: buffoonish Boris Johnson as replacement for PM, Michael Gove as his deputy, and Jacob Rees-Mogg, that “ornament on the backbenchers” as Chancellor. They would be the “dream team”, though the description of a hallucinatory nightmare is probably more appropriate. In the course of Sunday night, a “source” in Downing Street issued a statement to delay the delivery of blows against May. Brexit meant an actual departure from the customs union, rather than some halfway house involving the continued payment of dues and obligations to observe Brussels’ wishes. What did this Downing Street source go on to say? Instead of a Customs Union arrangement, the PM will seek one of two options: a “highly streamlined customs arrangement” or a customs partnership. The weasel words are coming thick and fast ahead of Brexit meetings this week. The picture is, in other words, an incoherent mess. Ministers such as Amber Rudd and Philip Hammond have little stomach for the stoic diet being advocated by the likes of Gove and Johnson. To totally exit the customs arrangement, according to them, would cause undue harm and imperil the UK economy. Then looms the problems of border checks between Northern Ireland and Ireland, a prospect that has been flagged as destabilising to the peace process. Rudd, in an effort to calm the waters, told the Andrew Marr Show that “the committee that meets in order to help make these decisions is more united than they think.” Optimistically, perhaps merely hopefully, she asserted that “we will arrive at something which suits us all.” Supposedly, somewhere in these discussions, the elusive rabbit of “frictionless trade” will be pulled out of the hat. All ills will be healed and grievances forgiven. The Times has reported that members of May’s Cabinet are sketching plans that would involve Brexiteers conceding to a limited extension to aspects of the existing customs union. This opportunity would lay the tentative ground for negotiating with non-EU nations for specific trade deals and avoid economic harm – at least in the short term. Short term stop gaps to limit harm; long term insistence on something apart from the European Union; steps to prevent the manifestation of Brino (Brexit in Name Only). These are the propositions that hover with tenacity, refusing to leave discussions and intruding at every given moment. What the Brexiteer cabal insists upon is the fantasy that the UK retains its mould as a dominant power, and that, left alone to its devices, will somehow manage to entertain the likes of India, China and Brazil on a better footing. Britain outside its European fraternity will be bolder, braver and more effective. Being within the EU customs union, on the other hand, entails negotiating as a bloc of states, a collective understanding. Britain’s links, however emotional they might be, remain tangibly linked to Europe. These will, in time, become more onerous and costly, and Brussels promises to be stringent on this. EU negotiators are doing their best to make sure that no benefits accrue to Britain in its departure. What matters now is how the Brexiteers manage to sell this to the voters. May’s Britain is flailing before weak leadership and chronic uncertainty, but a Britain with the likes of Johnson-Gove-Rees-Mogg would be an absurdly antiquarian sight, an anachronism that will see the country become a contender for the sick man of Europe. In destroying the country they claim to love in a fit of patriotic enthusiasm, they just might also destroy the reality of Brexit itself.